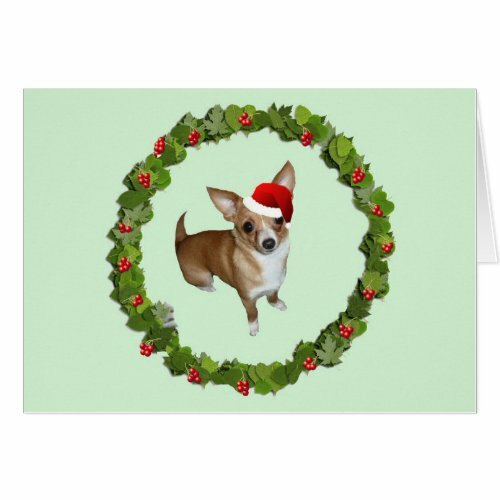 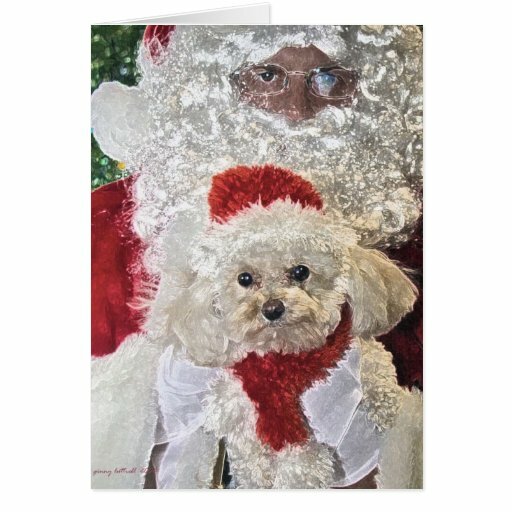 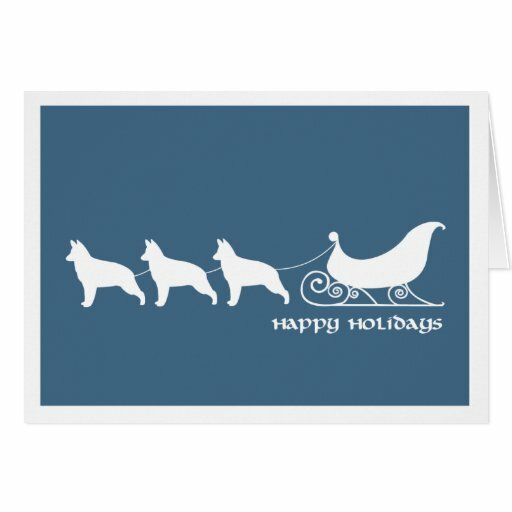 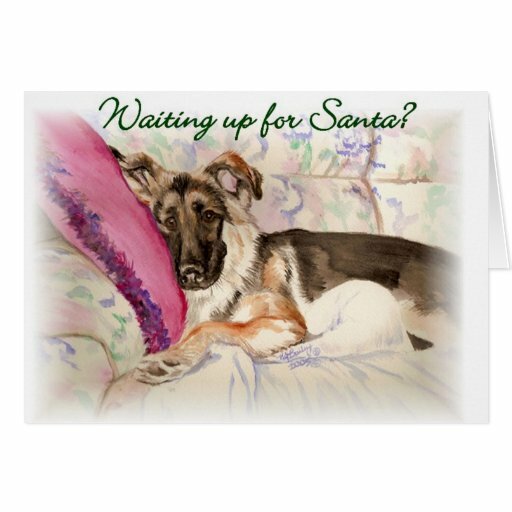 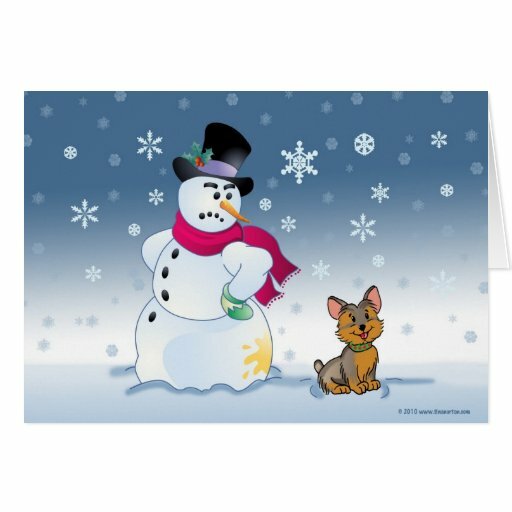 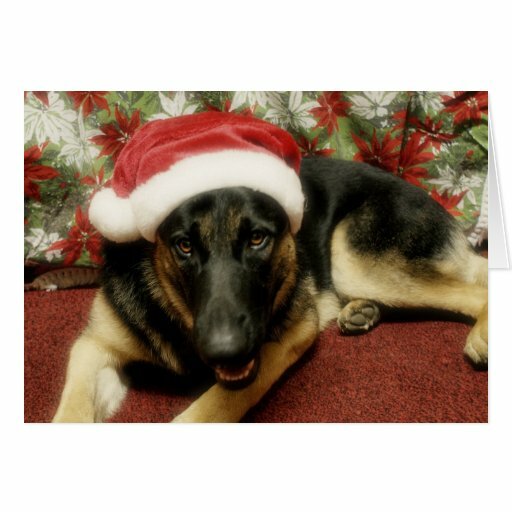 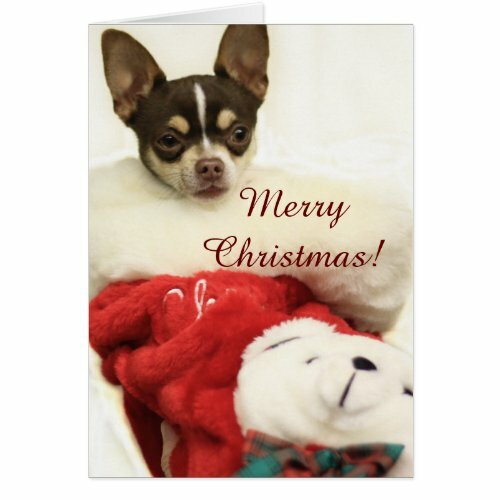 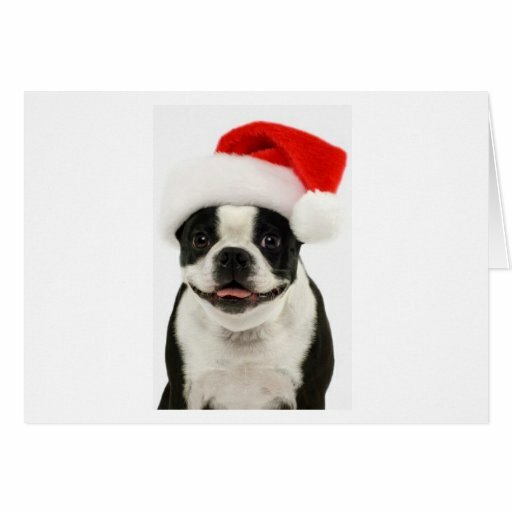 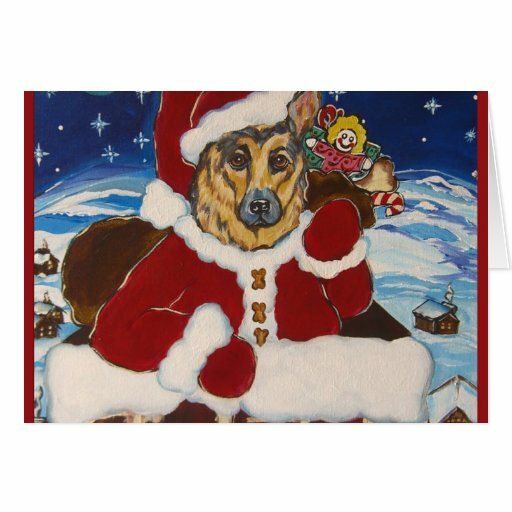 Get a Christmas Card Featuring Your Favorite Dog? 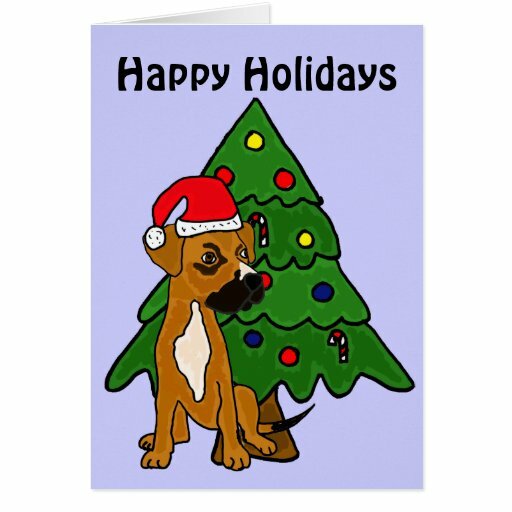 I always make sure that my dogs have a present under the Christmas tree every year, but I didn’t think about popping them on our Christmas card until recent years. 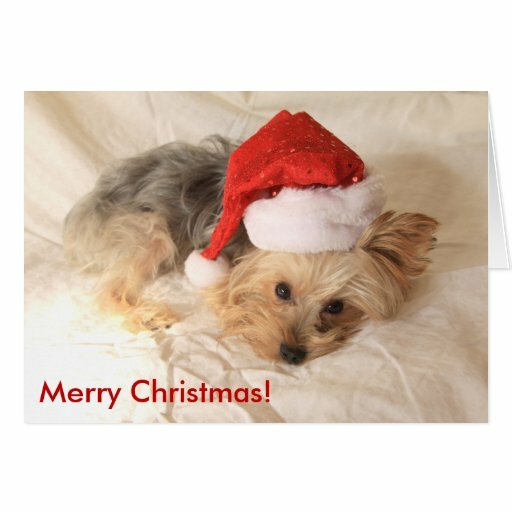 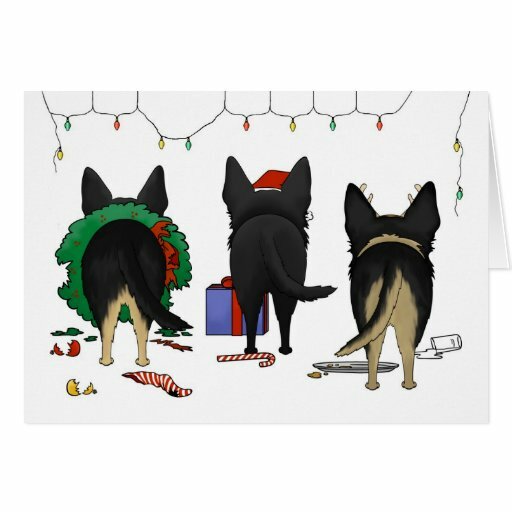 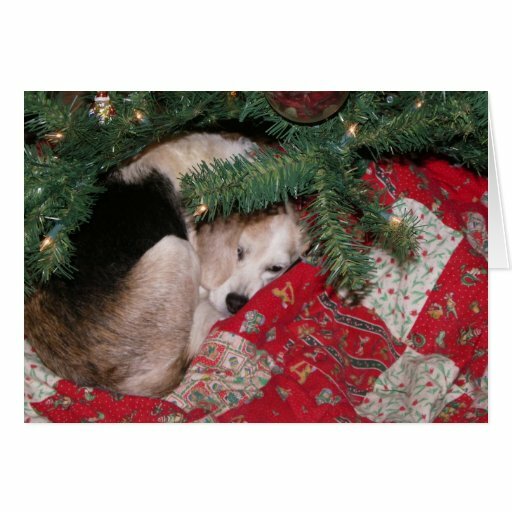 If your dog is camera shy then you can check out some of the great dog Christmas cards I’ve compiled for you here – big dogs, little dogs, shy dogs and extroverts I’ve included a wide range for you here. 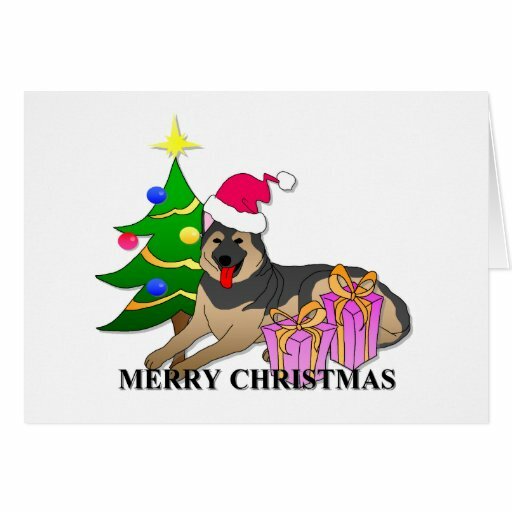 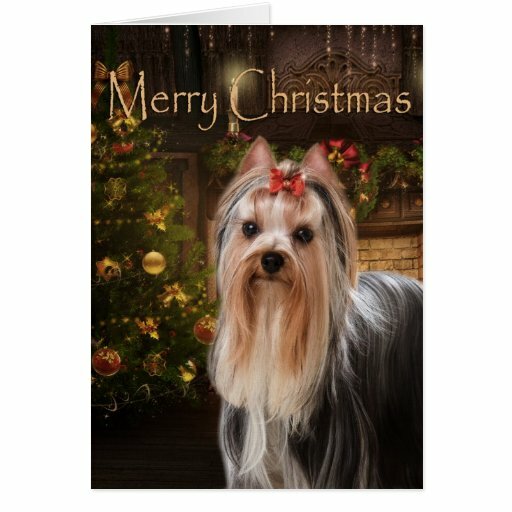 I will be constantly updating this page to include new breeds, but if you’re after a specific type of dog Christmas card please add a request in the comments and I’ll try to accommodate you. 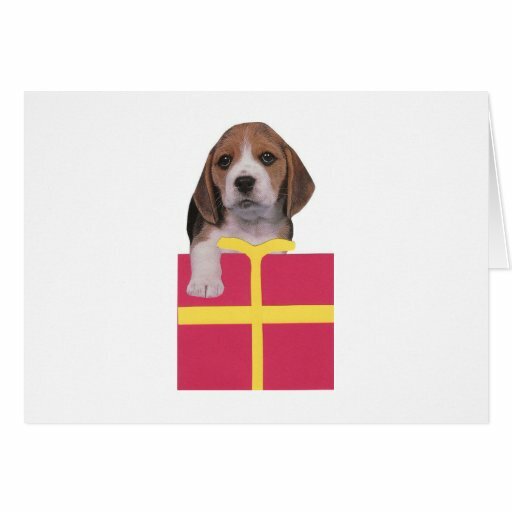 I’ve never owned a beagle, but they do look cute at times especially when they’re looking at you with their eager brown eyes! 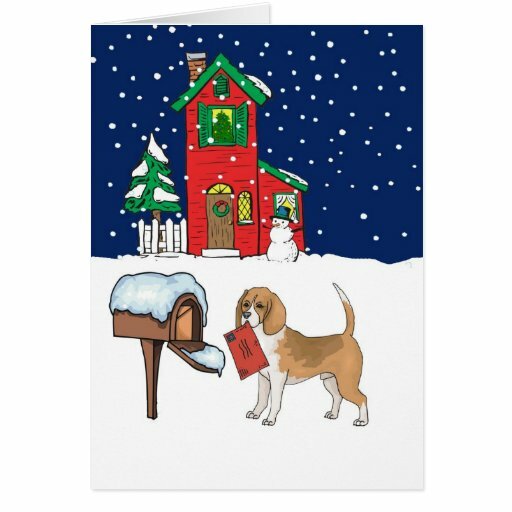 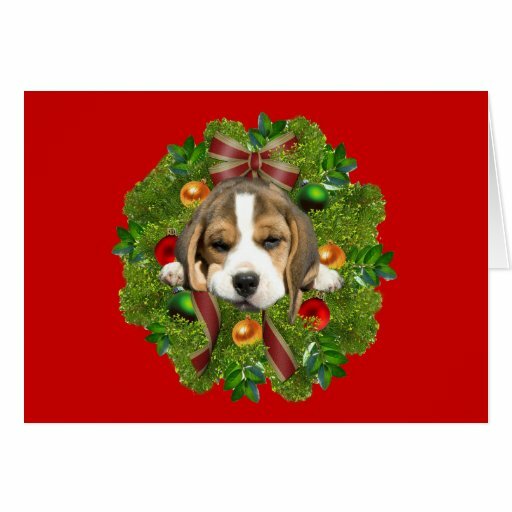 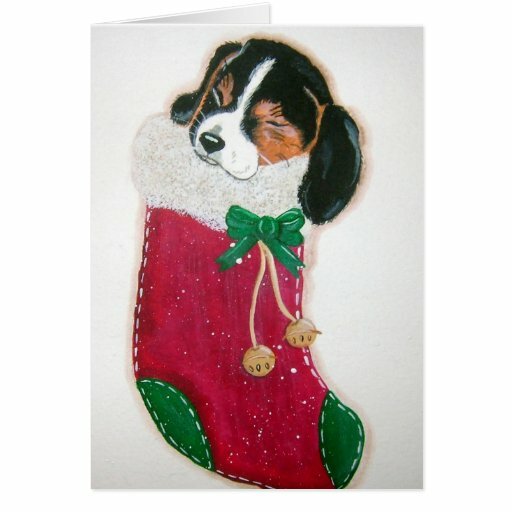 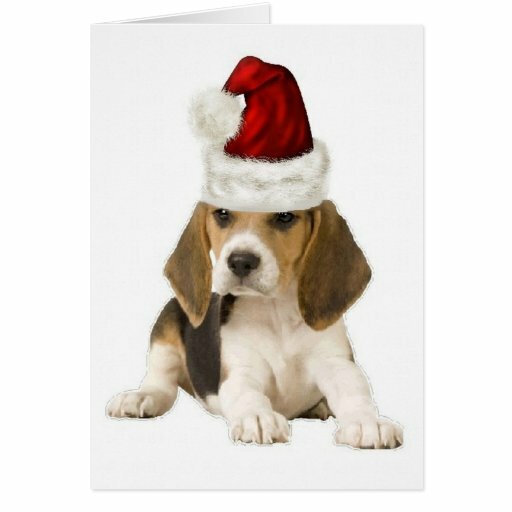 I particularly like the beagle pup asleep in the Christmas stocking – that’s my pick for a gorgeous beagle Christmas card! 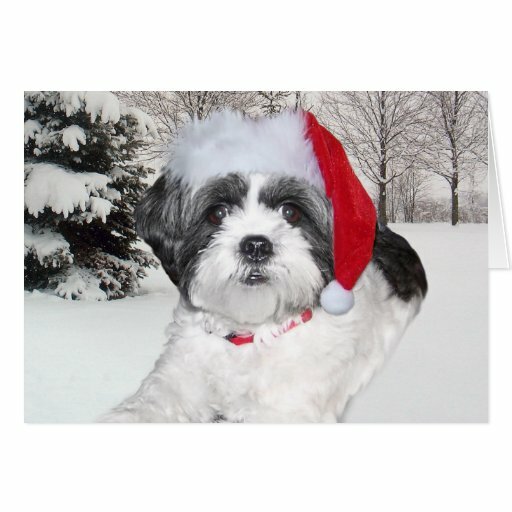 A Very Cheeky Dog Indeed! 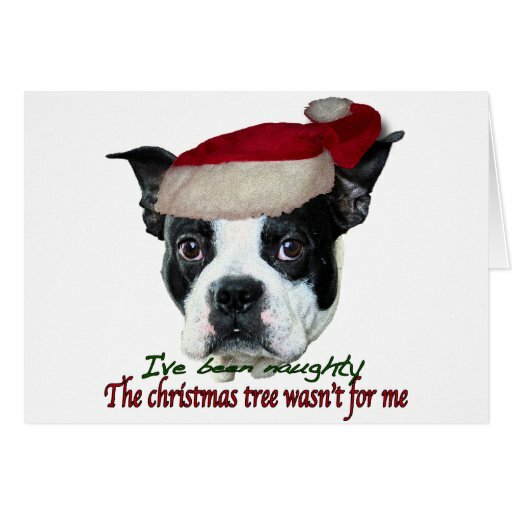 I met my first Boston Terrier only a few years ago when our Amstaff first came to us and we went to puppy school. 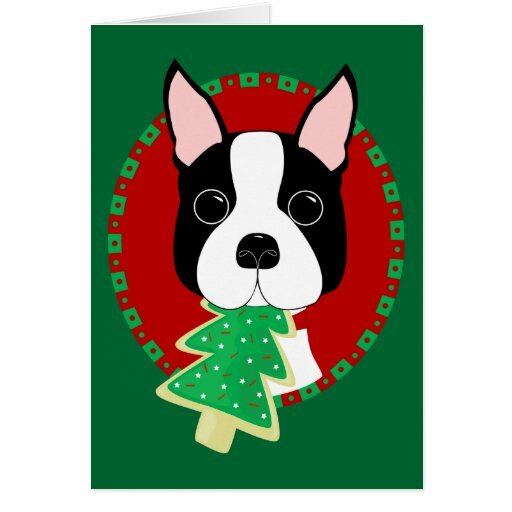 A little Boston Terrier pup came over and proceeded to try and show our little man that he was the boss – Roman just looked at him and back at us as though to say – is he serious? 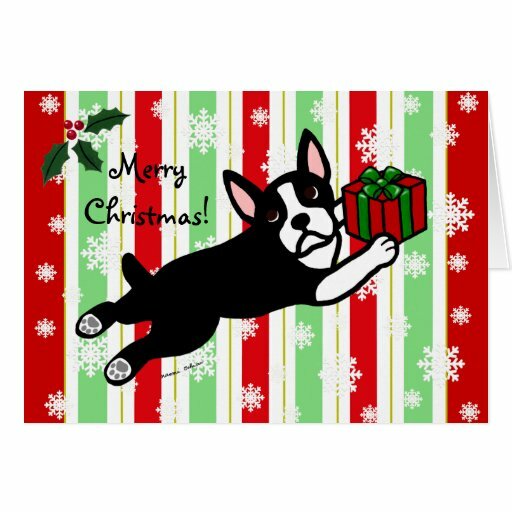 They enjoyed playing together quite a bit and I have to say that Max (the Boston Terrier) acted as cheeky as he looked which is apparently one of their traits. 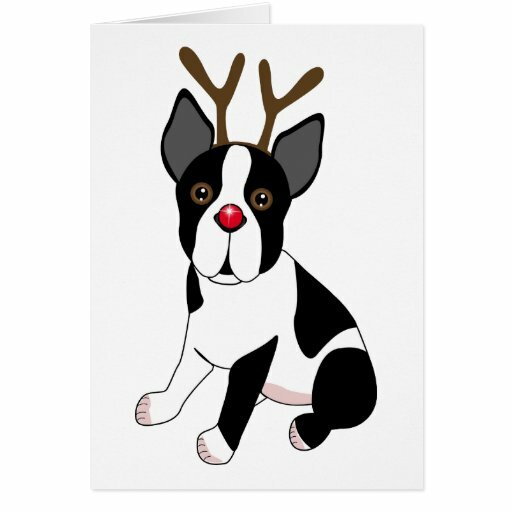 Unfortunately they moved away so we couldn’t keep the dogs friendship up, but I can totally understand how once you’ve owned one Boston Terrier you can be completely hooked! 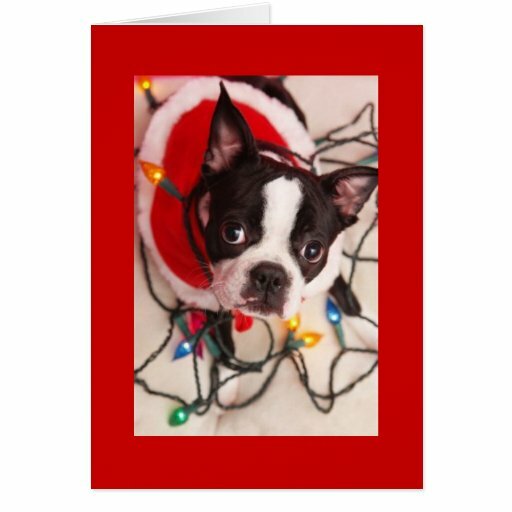 I think any of these Christmas cards would be great, but the first one with the dog tangled in lights really seems like something Max would’ve done so if you’re unsure and you want another opinion – pick that card! 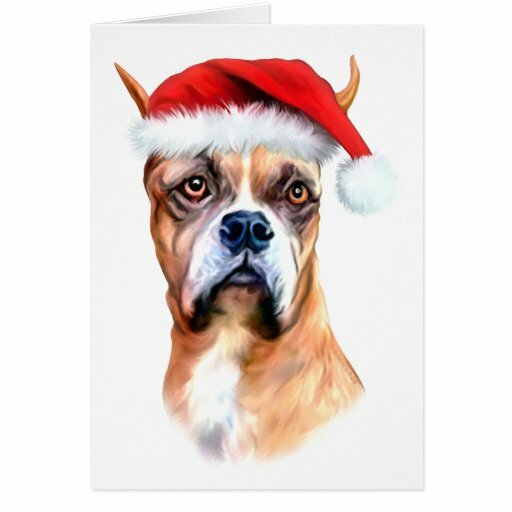 Boxers are pretty cool dogs too (I’ll confess there’s not many dogs I don’t fall for though! 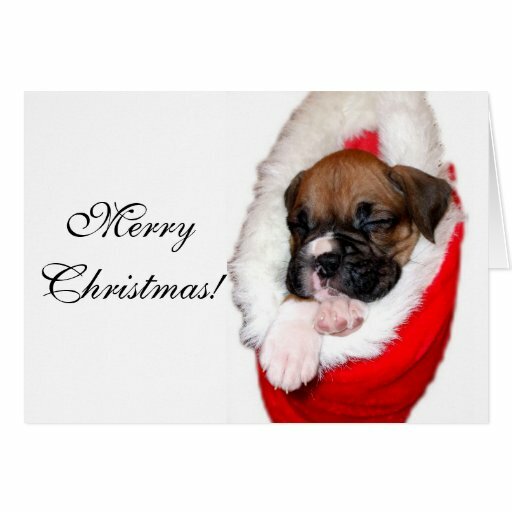 ), but I think boxer pups are even cuter! 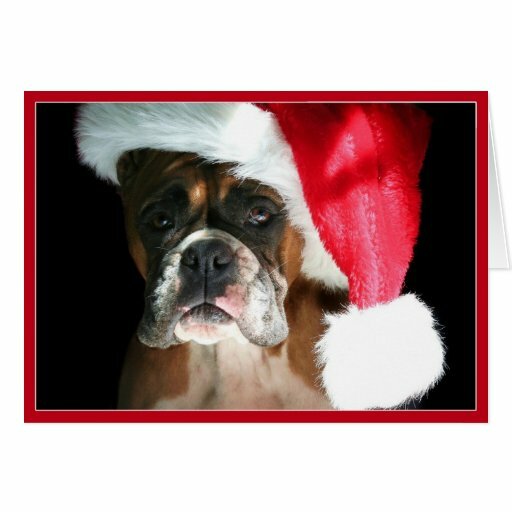 I can still remember over 20 years ago a girl I worked with came to show off her new boxer pup and I felt like running away with it – he was so cute! 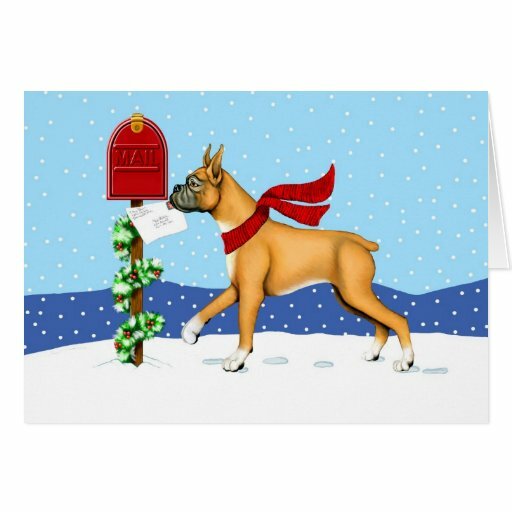 I don’t know much about the boxer’s personality so I’m not sure which Christmas card is the best one to send, but I particularly like the cartoon boxer taking a letter to the mail box. 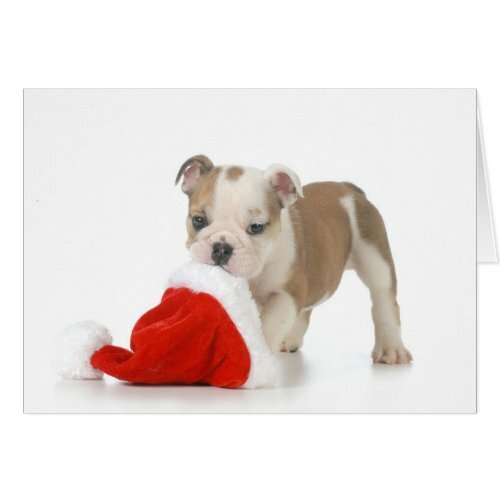 The English Bulldog is one of those dogs that I always think of as so ugly they’re beautiful – you know it makes sense! 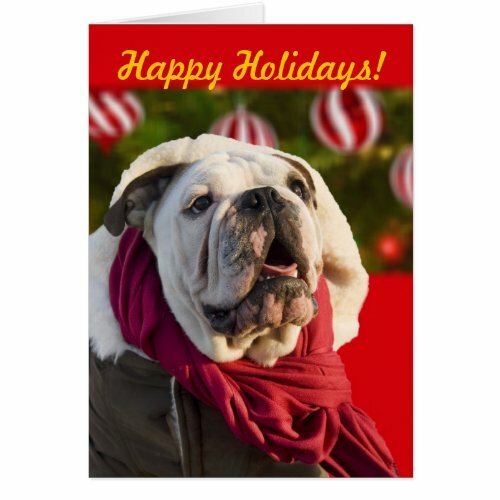 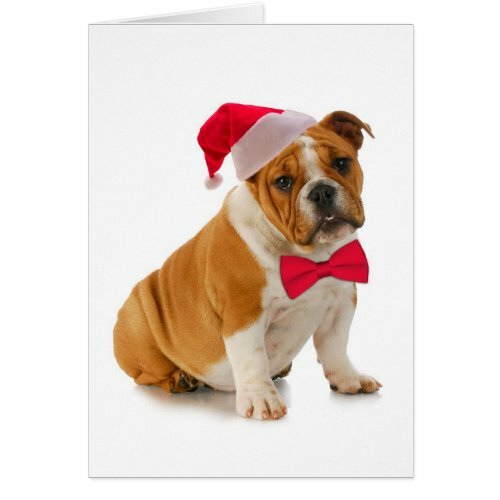 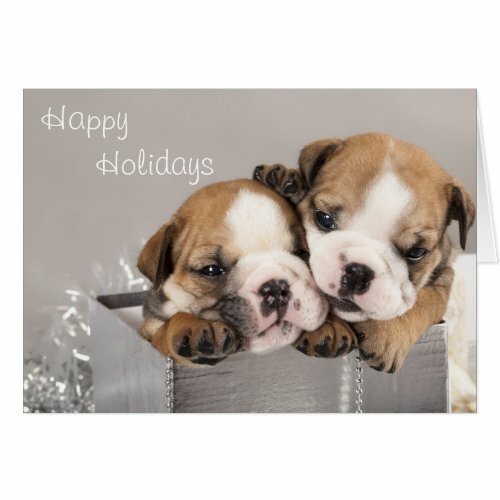 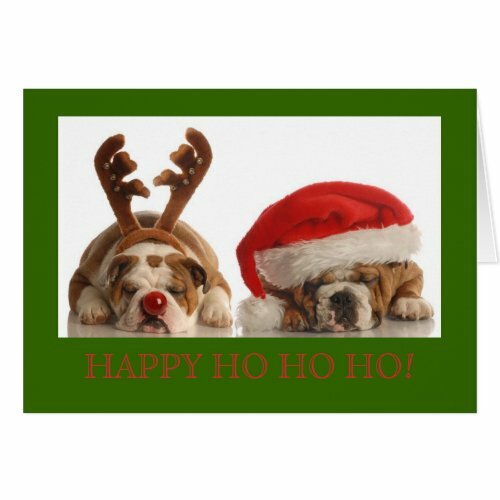 I love images of this dog and it was really hard to only have a few here as I could easily have filled a whole website with English bulldog cards for you! 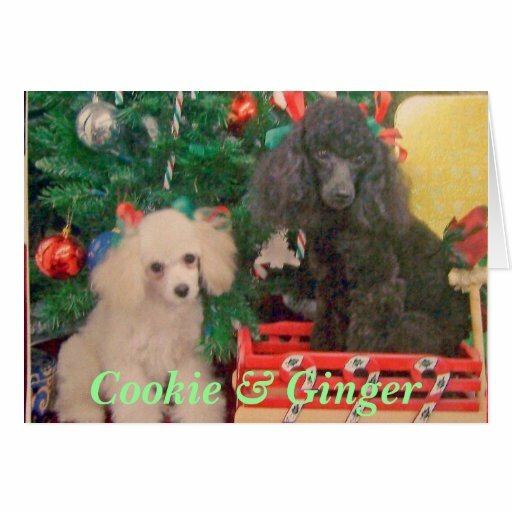 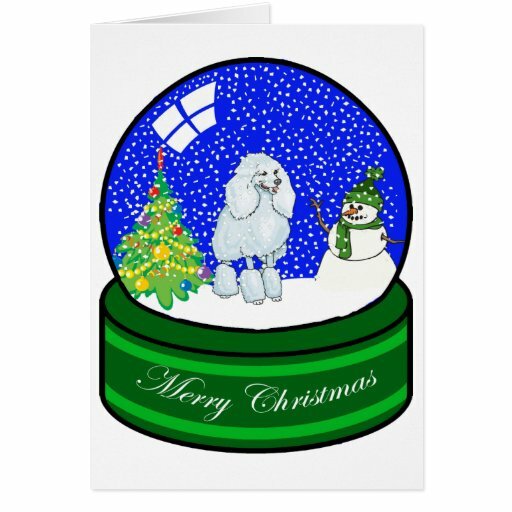 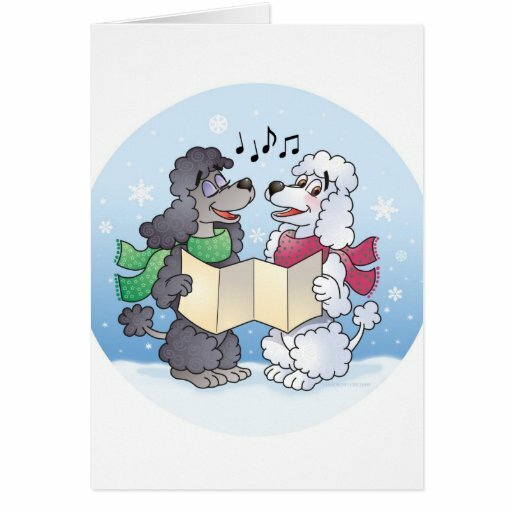 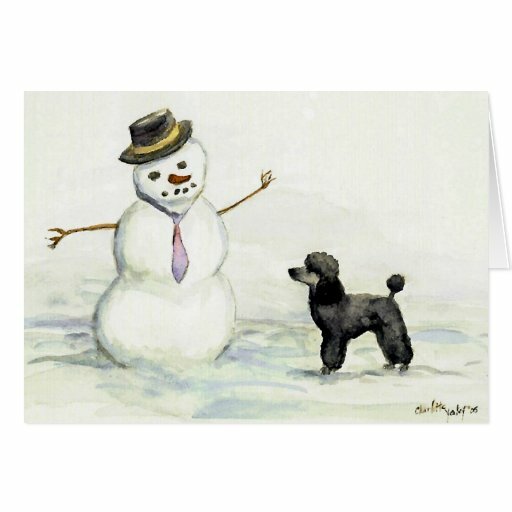 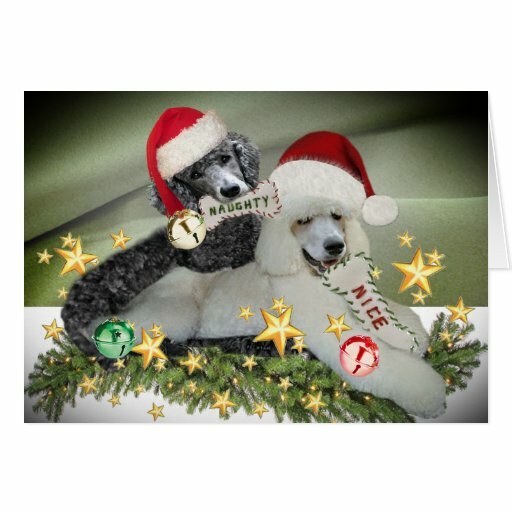 My late grandmother absolutely loved her poodles so she would’ve loved to have received one of these cards ….. heck she would probably have brought a selection to send to everyone from herself, granddad and their dogs!! 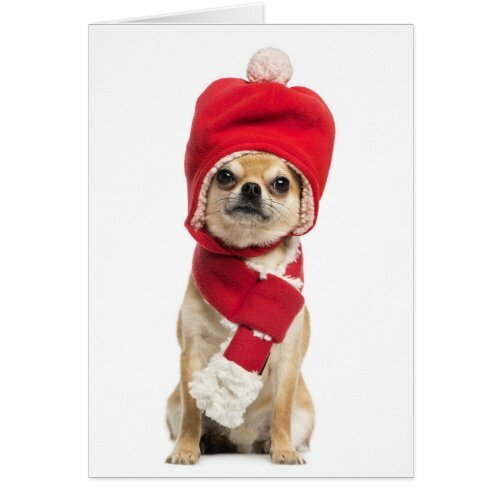 There’s something delightfully adorable about pugs and they are fast becoming one of the more popular dog breeds. 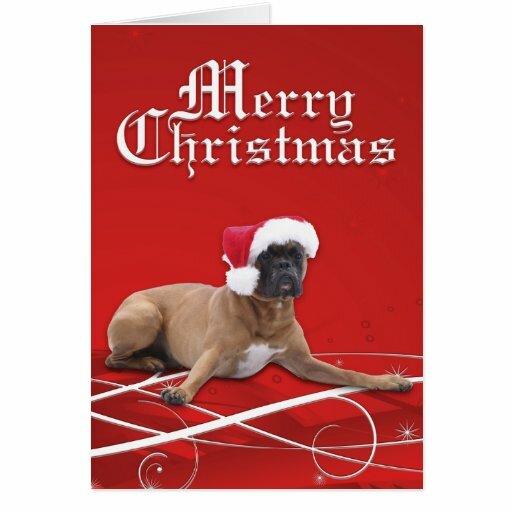 When you see some of these cute Pug Christmas cards you’ll see why they’re turning so many heads and making everyone say, “I want a pug”. 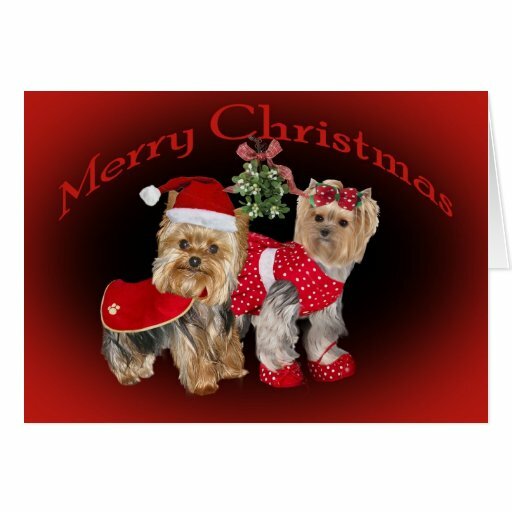 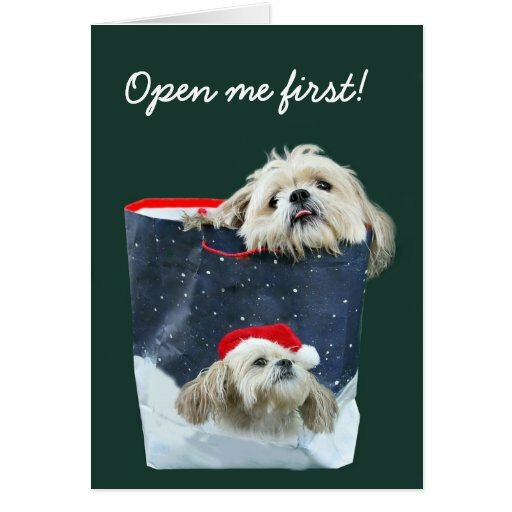 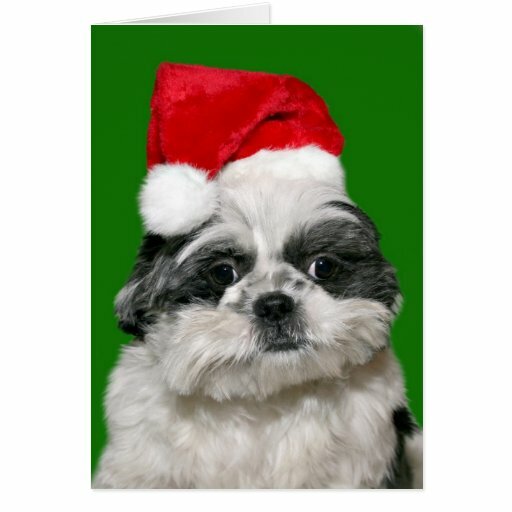 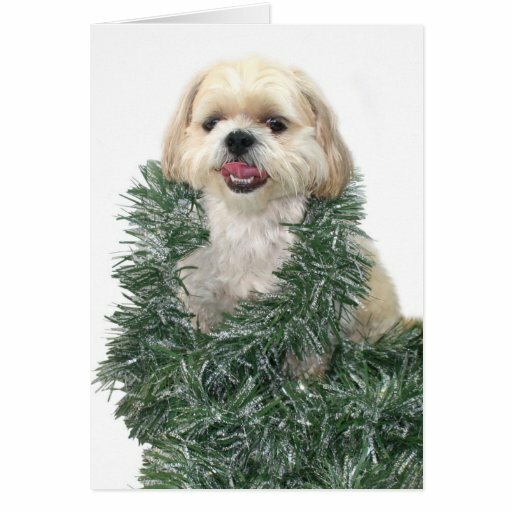 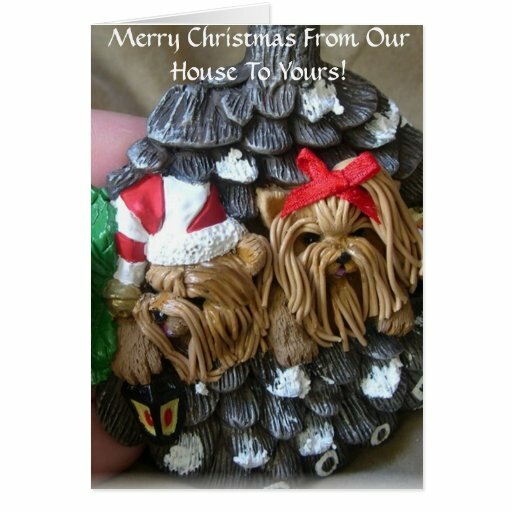 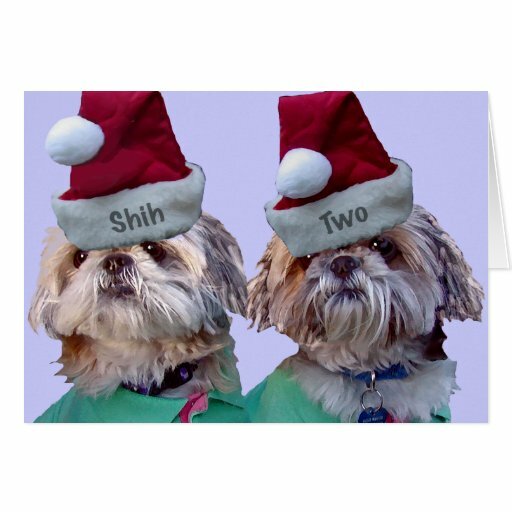 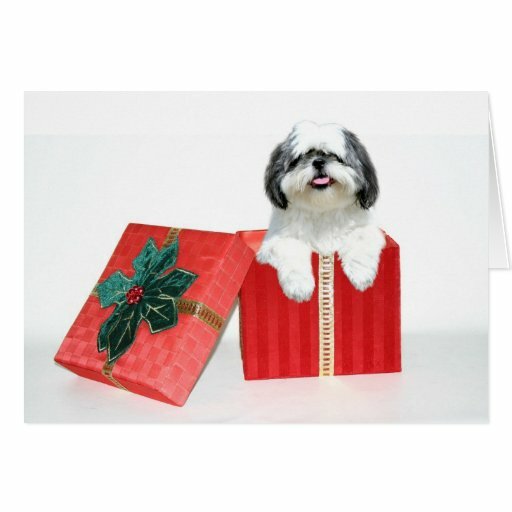 I like a few of these cards, but I have to say if I was forced to pick just one it would be the shih tzu in the gift box – what a beautiful looking Christmas gift. 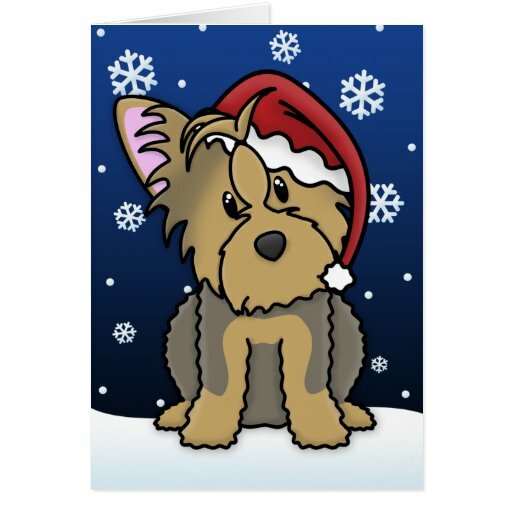 One of my godmothers had a Yorkshire Terrier for years who’s name was Toby and I’m sure if she’d known that these cards existed back then she would’ve sent them to all of us! 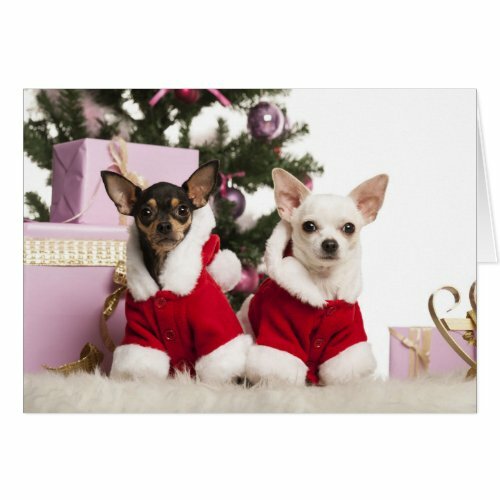 As far as the cuteness factor goes I would have to choose the first Christmas card featured, but if you’re after a fun card then the second one made me laugh!